This handbag purse is stylish with everything from jeans to now-a-days trendiest fashions, and this trendy tote bag gives any look that classic, vintage-style chic that today's stars go crazy for. Show off a love of timeless style with this shopper tote's solid color man-made material and wonderfully retro bowling handbag shape. This incredible top double handle bag is smart as well as modish, thanks to its a roomy interior, 2 zippered pouches, 3 pockets, and 1 rear exterior zippered pocket that give you oodles of space to keep the wallet, keys, cell phone, and other must-haves stored safely at your side. 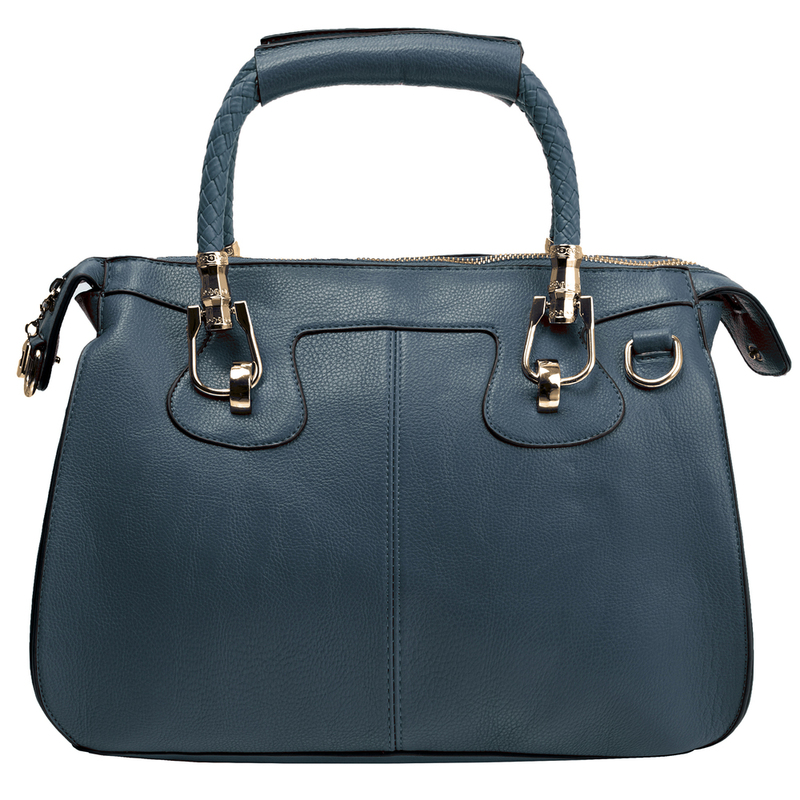 With this gorgeous doctor style handbag swinging by the 2 top handles or slung over a shoulder like a cross body bag by the detachable shoulder strap, fashion-lovers everywhere will have a fabulous and affordable on-the-go shoulder bag that brings style to any occasion.